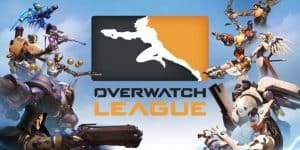 Overwatch League: First Major eSports League to Use City-Based Teams | Nerd Much? Blizzard has finally revealed details about how their eSports version of Overwatch will work. The teams, as few as they are in comparison to other sports, have been named and are regional. If you would like to show your support for any of them, Blizzard will be providing in-game items to buy, the part of proceeds of which will go to the team. These in-game items are Overwatch League team branded items. They will be the key to fan support and personal expression within the game. Blizzard further explained that each team will benefit from the sale of these in-game items, getting 50% of the revenues. The teams will also be able to host their own local events (up to five) and profit from them each year. Regional teams are also a fairly new concept to eSports and Blizzard is looking to make a splash with fans. Overwatch League is the first major eSports player to create city-based teams, which has effectively made Overwatch League in-league with mainstream sports, as traditional sports teams are city-based as well. This is a work of genius on Blizzard’s part, as I can’t even imagine how huge the fan support Overwatch will get once more cities around the world join the ranks. If I thought hockey was a big in my city, Overwatch will be a whole new world. Thus far, however, my major Canadian city probably won’t be a part of the ranks for awhile. The United States has plenty in comparison though, along with teams from China and South Korea. Who will you be cheering for? Will you be investing in the in-game items? Let us know in the comments below!